Set between the Po and Adige rivers, Rovigo, main town of the Polesine area, has always been a meeting point between Ferrara and Venice. 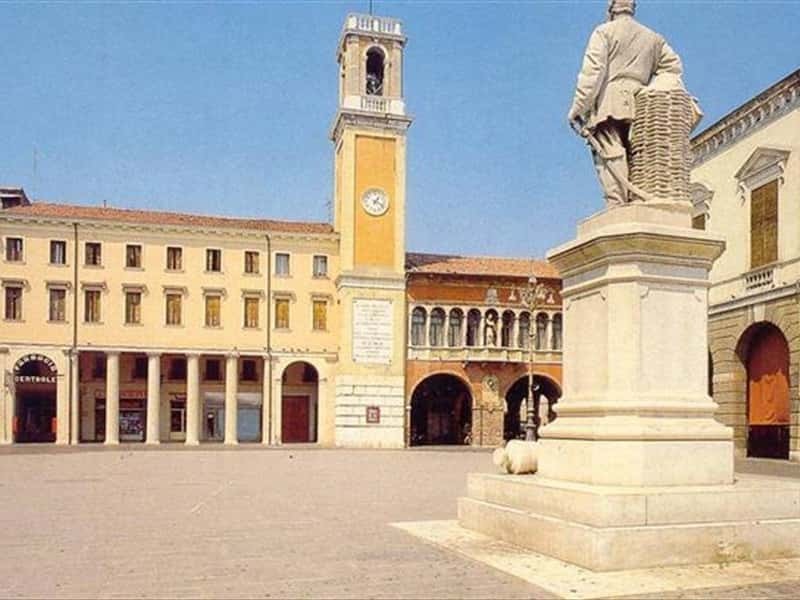 The city is mentioned for the first time in a latin document of 838, in which Rovigo is so defined "villa quae nuncupatur Rodrigo" (town called Rodrigo). In 1482 it was conquered by the Venetian Republic. City of water and the XV century fortified town under the Estense family, its history is clearly represented by the old squares and churches that capture the attention of who walk along the quiet and sleepy streets of this city. The Cathedral, built before the XI century, has been remodeled in 1461 and in 1696; it is dedicated to Santo Stefano and preserves a valuable "Cristo Risorto" (Risen Christ) by Palma il Giovane. The trapezoid Vittorio Emanuele II square is characterised by the typical Venetian architectural style: Palazzo Roverella (1475) and the XVI-XVIII century portico of the Palazzo del Municipio, the XVI century Palazzo Roncale and the Palazzo dell'Accademia dei Concordi, the most important cultural organization of the city. The Church of San Francesco, in Gothic-Romanesque style, has been remodeled in the XIX century; here we can admire a valuable statue of San Lorenzo by Giovanni Maria Morlaiter and an elegant Pietà by Tullio Lombardo. This town web page has been visited 22,517 times.